Capital City: Addis Ababa, Ethiopia’s sprawling capital in the highlands bordering the Great Rift Valley, is the country’s commercial and cultural hub. Its National Museum exhibits Ethiopian art, traditional crafts and prehistoric fossils, including replicas of the famous early hominid, “Lucy.” The burial place of the 20th-century emperor Haile Selassie, copper-domed Holy Trinity Cathedral, is a neo-baroque architectural landmark. 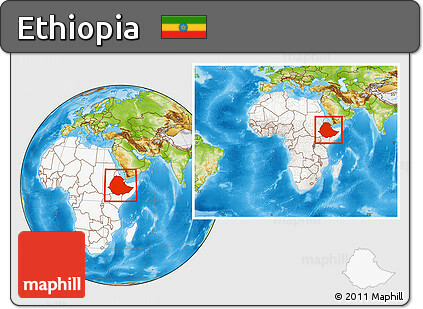 Religion: Religion in Ethiopia consists of a number of faiths. Among these mainly Abrahamic religions, the most numerous today are Christianity (EthiopianOrthodoxy, Pentay, Catholic), followed by Islam. There is also a longstanding but small Jewish community.